The identity of the antichrist is considered to be one of the greatest world mysteries when it comes to the subject of prophecy. It has been established that the Bible contains a little more than one hundred various passages that describe the characteristics, goals, and other important aspects of the Antichrist. It is believed that this specific being will rise to power in the end of days. In the earliest days of the era of Christianity, believers were thoroughly convinced that a ruler will rise in the world that was nothing more than an embodiment of Satan. 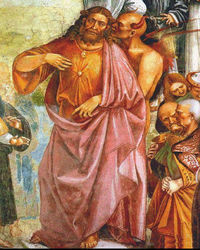 Many refer to the Antichrist as the “Beast”. In this guide, you will be introduced to the ten signs that will reveal the true identity of the Antichrist to believers. 1. The first sign of the Antichrist is that he will be in a position that will permit him to rise in his own power within the last days of the world. 2. Not only will the individual that qualifies as the Antichrist rise to power, he will gain authority over the entire world. In today’s world, most politicians and others in power have power in a particular jurisdiction. This will not be the case when the Antichrist emerges into the world. 3. The headquarters where the individual that acts as the Antichrist will be located in Rome. This is supported by the 17th chapter of the Book of Revelations in verses 8 and 9. 4. The individual that is meant to be in this particular position will be one that is highly intelligent. He will have the power to be quite persuasive among those that he works with and is given control over. 5. The individual that fills this position will be allowed the consent of the people to rule on a national and international level. All of those that have positions of power and rule will hand over their authority to this individual. 6. The rule which the Antichrist holds will be one that is characterized by deception. When it comes to the identity of the Antichrist, deception will be a major component of his authority over others. 7. The economy is important when it comes to the world mysteries surrounding the Antichrist in the end days. This individual will literally control the economy and that economy will be global. According to the 13th chapter of the Book of Revelations verses 16 and 17, each individual that wants to exchange in the economy will be required to receive a mark. This mark will be placed on either the forehead or the right hand. Christians often refer to this as the “Mark of the Beast” or “Name of the Beast”. 8. The Antichrist will make a special effort to create a treaty based on peace with Israel. 9. Within just a few years of making the treaty for peace, the Antichrist will break that treaty. Immediately thereafter, an invasion upon Israel will be initiated. 10. The final key to the identity of the Antichrist is that the individual will claim that he is God. The subject matter of the identity of the Antichrist has been debated throughout history. Theologians and Historians are consistently battling whether or not there will truly be an Antichrist. In addition to this, they are consistently interpreting facts pertaining to this entity in different ways. This is why, even today, the topic of the Antichrist is considered to be one of the greatest of all world mysteries.